It might be that one of the oldest traditions at Bowdoin is wondering where you fit in the story of this place. There's so much history here that it's easy to stand in the middle of it and feel overwhelmed. Where does your story intersect with those who have come before you? Since our founding in 1794, Bowdoin has undergone a lot of changes. But there a few threads that tie together everyone who has walked this quad: a commitment to the common good, a rigorous intellectual life, and memories that last a lifetime. Below are some of the ongoing traditions that help us build and maintain our welcoming community. This might be something you experience on your campus tour—before you even apply. Greeting each other on campus doesn't sound like something with a rich history, but thanks to our small campus and network of paths, you'll end up doing it a lot. Back in the 1960s, Bowdoin fraternity pledges would be in trouble if they didn't give a vigorous "hello" to each other, even from the other side of campus. In the present day, our fraternities are gone, but our friendly greeting is here to stay. Residential Life had an idea: let's use food to bring together people on campus who may not have otherwise interacted. Now, "Dinner with Six Strangers" has traveled out of the Brunswick border, and has been adopted by Bowdoin alums all over the country. 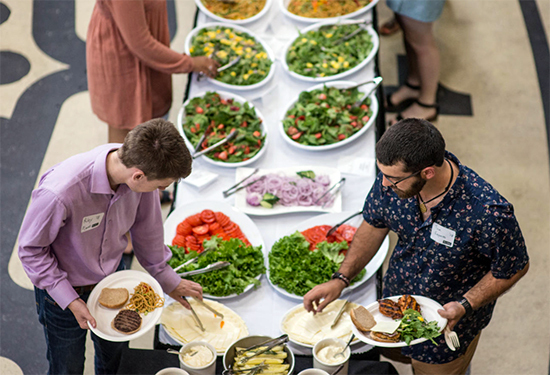 All around the country, Bowdoin alumni throw send-off parties for incoming first-year students, their parents, and families. It's a chance to meet Polar Bears in your area, and to feel that Bowdoin network already welcoming you and working hard on your behalf. In 1865, the junior class at Bowdoin planted an ivy plant near the Chapel, and celebrated with poetry and orations. Ten years later, in 1875, the senior class shared a peace pipe and walked in formation to their last chapel service. The day has grown... less and less serious ever since. Now it's Ivies: a campus-wide party weekend that celebrates spring, and lets us unwind in preparation for finals. 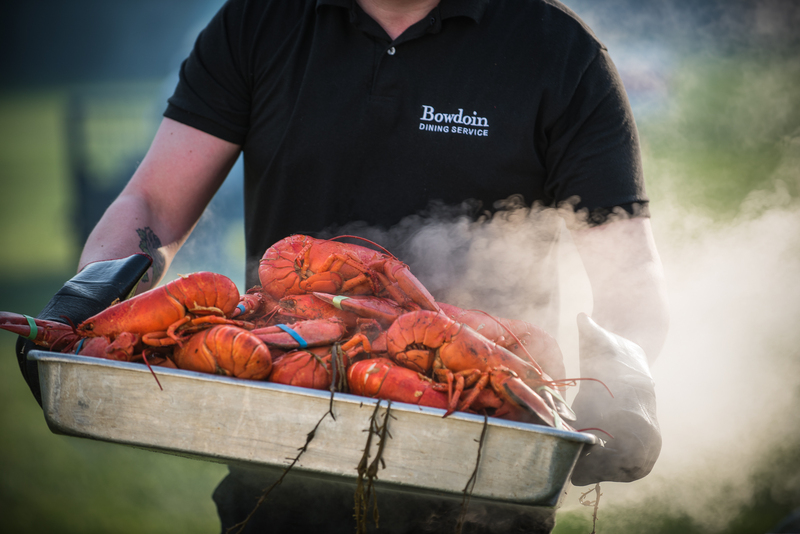 Bowdoin finds a few reasons each year to celebrate with an old-fashioned Down East lobster bake. Each fall we fire up the roasters to welcome new students, and to welcome back our returning students. Then, the night before Commencement, we welcome seniors and their families to share in the tradition of cracked claws and fresh corn. The Bowdoin team spirit has never been in doubt.